If you are considering getting your alloy wheels completely refurbished, a powder coating, rather than a traditional paint and lacquer approach, is one of the options available to you in the marketplace. There are a few different reasons why you might choose this finish, but first, let’s look into what it actually is. Alloy wheel powder coating is a decorative finish for alloy wheels. It’s sprayed on like traditional paint, but it settles on the surface dry rather than liquid. It’s not until the coating is heated treated that the paint “flows out” of the coating and forms a gel over the surface of the wheel. 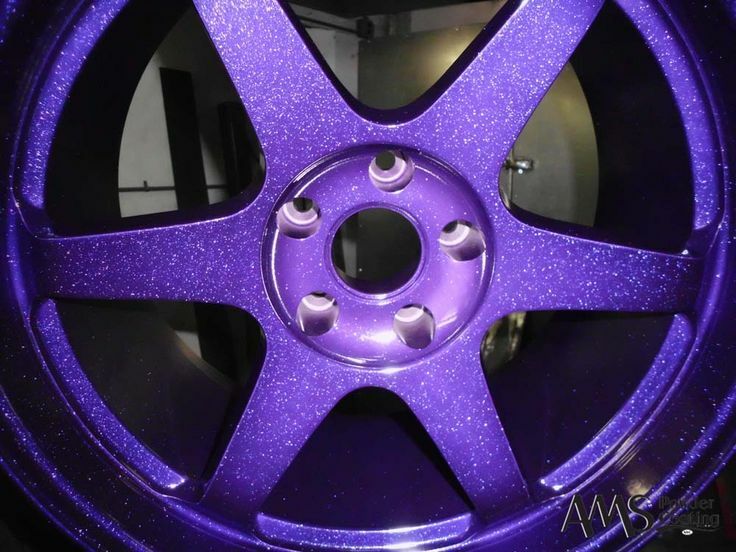 As with a standard re-spray, car bodywork repair or car scratch repair, alloy wheel powder coatings need to be lacquered over the top to protect against UV damage, light scratches, pollution and wash swirls. Many sources will tell you that alloy wheel powder coating provides a harder and more durable finish than a traditional paint re-spray, but equally, you might find powder coated rims accused of softening the underlying aluminium. It’s like most things in car repair – it all comes down to the quality of the finish. If the alloy wheel wasn’t properly cleaned or heat treated, to remove gases from the pores of the metal, you might find bubbles breaking the surface of the final paint job. Likewise, if the powder has not correctly flowed out to its gel form, or there has been no protective lacquer added over the top, you might find that it’s more susceptible to scratches and chips. There’s an interesting discussion of the pros and cons of the different finishes here. It’s also possible to achieve more specialist finishes with powder coating – see the purple glitter finish at the top of this post and in this board on Pinterest. However, you should note that if you need a repair to powder coated wheels, it’s not possible to use the SMART repair system to fix minor scratches and cuts and that long term maintenance restriction could make things slightly more expensive and less convenient for you. There’s some argument to say that powder finishes are better for the environment because they don’t contain the same solvents as liquid paint and release fewer VOCs (volatile organic compounds) into the surroundings. Here’s a step-by-step guide to how a professional technician will apply alloy wheel powder coating. Should I choose a powder coating? 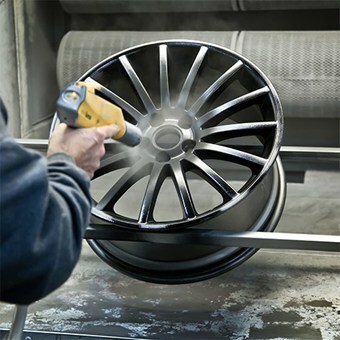 If you are looking to completely recolour your alloy wheels for cosmetic purposes, or the wheels have sustained substantial wear, tear or rust all over then powder coating your wheels might be a good choice. Be sure to do your research, get references and see previous work and ensure that the garage will complete the service from wheel and tyre removal to rebalancing. Wheels with structural damage should always be written off instead of repaired, for safety reasons. Please note that ChipsAway do not repair wheels which have been treated with a powder coating, nor do we offer a powder repair service. 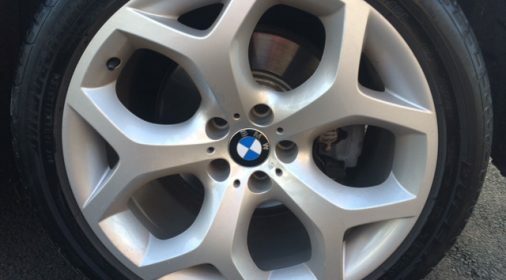 If you have a minor scratch to repair, ChipsAway can carry out alloy wheel repairs through our tried and tested techniques, without removing the wheel. 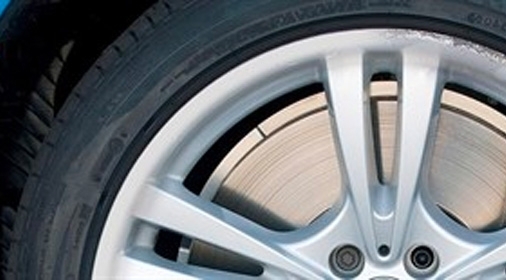 Check out this blog to find out how our alloy wheel repair works. We only treat the damaged area, carefully matching the colour and resealing it to ensure a fully blended finish that comes with a lifetime guarantee. For the average motorist who takes pride in their car, this is a highly effective, quality and cost-saving procedure to restore the looks of your car. To find out more about our approach to repairing alloy wheels and to find out if this is suitable for you, browse the services section or complete our online form to have your local specialist call you back today.